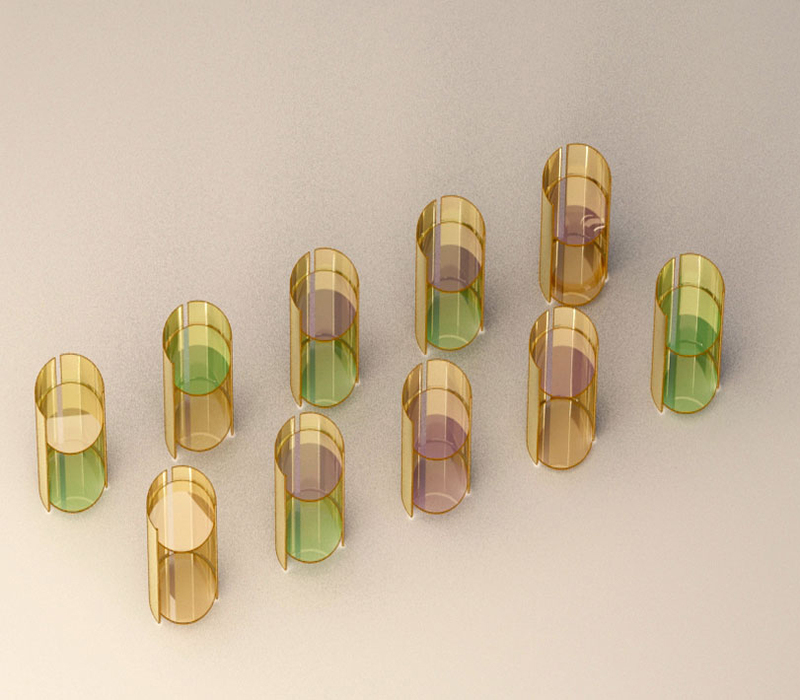 In Tokyo, FENDI is inaugurating the first of a series of exhibition projects aimed at celebrating one of the founding aspects of its brand and cultural heritage, by Emanuela Nobile Mino. 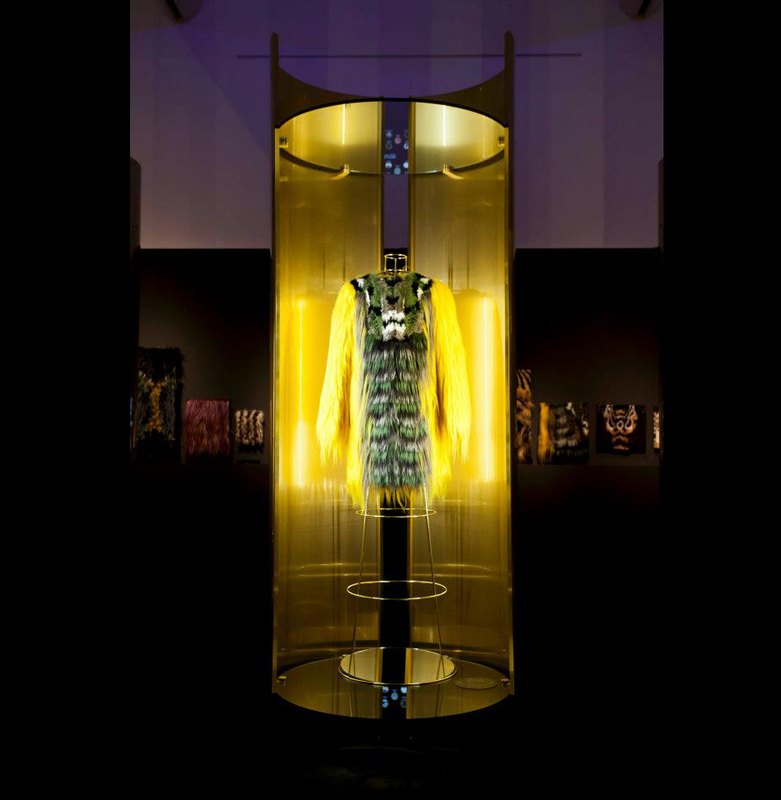 Called upon to design the fit-out of this exhibition, our firm designed an itinerary through history-making pieces of the Fendi brand in the art of furs. 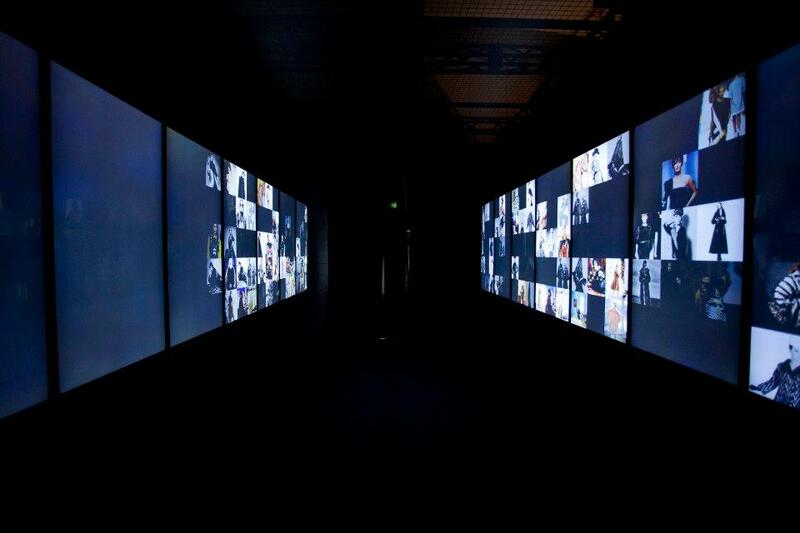 The first area along the route, conceived as a multi-sensory corridor, introduces the visitor to the theme of the exhibition: two walls are built along the sides to support the information using simultaneous back-projections of images (from the Sixties to the present, from black and white to colour, etc.) 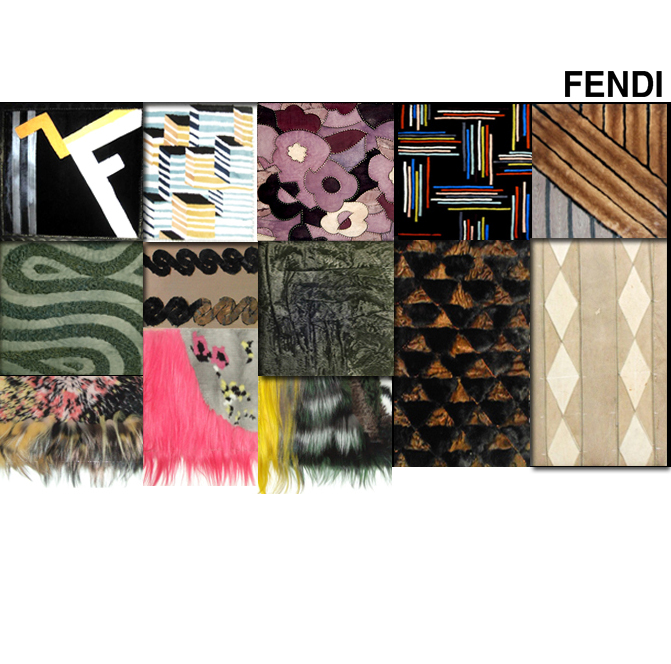 that summarise and offer an overview of the developments made by Fendi in terms of style and structure. 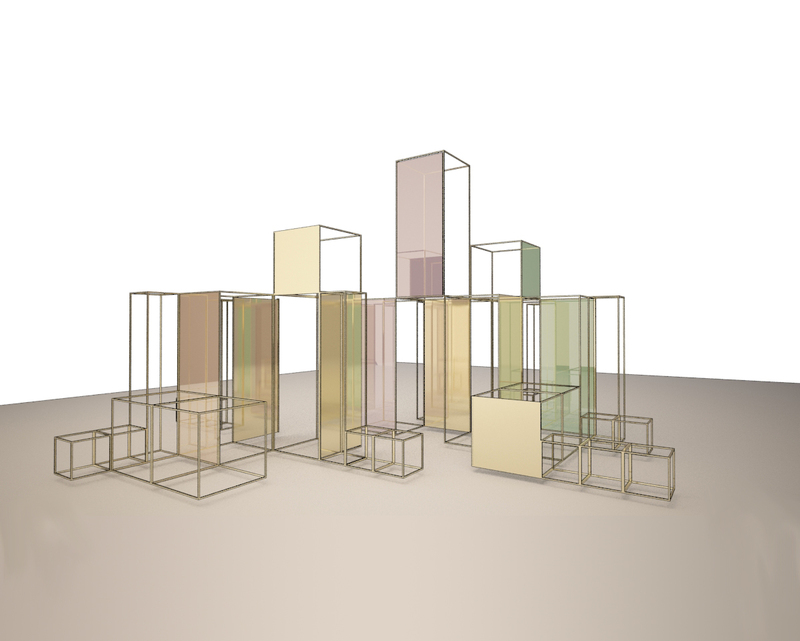 Positioned at the centre of the exhibition route are two groups of semi-circular display cases, 26 in all, created in gold-coloured brass, dibond and plexiglass, hosting the selected models. The mirror surface, inside and outside the cases, embellishes the volumes with a continual interplay of reflections, creating a dizzyingly sensual kaleidoscopic effect, temporarily surprising and startling the perception of the visitor, while at the same time enhancing the content on delay. The decision to distinguish the fit-out with the repetition of a geometric shape (in this case a circle, but a rectangular shape was also contemplated originally) was prompted by the consideration that a texture formed by repeated geometric figures (circles, squares, rhombuses) has historically been a recurring feature in constructing a painstaking patchwork pattern on the front, and sometimes the back, of furs. 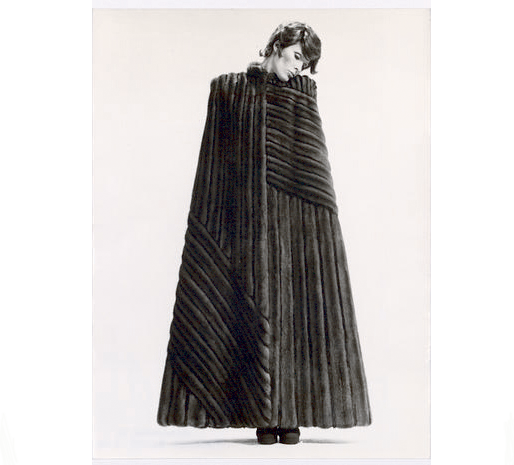 This actually appears in keeping with the style characteristics of artistic currents, and, more generally, the sources of inspiration FENDI has always looked towards and paid homage to: the conceptual patterns of a number of important Italian and American artists (such as Boetti and Sol Lewitt, artists who – and this is no coincidence – share the idea of a work of art as a project to have shaped by a figure other than the artist, i.e. by highly professional craftsmen). The project is completed with an open-door craft workshop that shows the manual skill that goes into the production of the objects. The aim is to highlight the culture of artistic and innovative craftsmanship, which is one of the signature features of Fendi products.